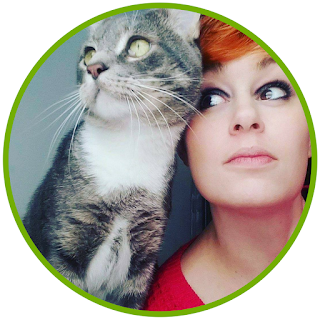 On Monday I underwent an outpatient surgery for endometriosis. I've never had a "real" surgery before with the closest thing being having my wisdom teeth removed when I was in high school. Needless to say, I was frightened and extremely anxious. I have had multiple anxiety attacks over the past couple of weeks leading up to the surgery and my biggest fear was that the doctor would cut me open to find nothing was wrong with me, that the pain I have been experiencing since I was 14 was all in my head. Thankfully that wasn't the case. In fact, he found a lot more than he expected, including significant scarring around my colon and intestines. The scar tissue was so bad that my intestines had fused to the wall of my abdominal cavity and the mass was unmoving, meaning regular function was inhibited. He approached my mom before removing it, asking if she was sure I had never had another abdominal surgery. She assured him I had not, that this was the first. He said the next possible source of the scarring was an infection, so he went looking for what he thought was the source: my appendix. Thankfully that little organ is perfectly healthy, but we aren't sure exactly what caused the issue. I have a feeling I know what caused it, and I plan to discuss it with my doctor next week at my post-op appointment. The past couple of days have been extremely rough. I am allergic to opiates which means I am stuck with tramadol, a synthetic opiate to treat mild pain, and Advil. However, I have been using some magical means to speed up the healing process as well: crystals. Here are three crystals I have been relying on this week to speed up the healing process. 1. 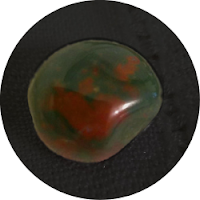 Bloodstone: Bloodstone, so named after the red flecks of "blood" throughout it, purifies the blood and stimulates the immune system, thus aiding in a speedy recovery, especially after surgery. It can ward off flu, colds, infections, inflammation, and helps revitalize the body after an injury. Furthermore, bloodstone is known for its grounding and cleansing properties, helping to ward off negativity and anxiety while your body recovers. Simply place this stone near the incision site to benefit from its healing vibrations. Do not place the crystal directly on the wound(s). This can cause more harm than good. 2. Lapis lazuli: This brilliant blue crystal is known for easing pain, boosting the immune system, and purifying the blood. It is also known for lowering blood pressure and easing inflammation, making it the perfect crystal to use after a surgery. Lapis lazuli also encourages you to take charge of your life and helps to focus the mind, allowing you to focus on healing and living your best life in the future. 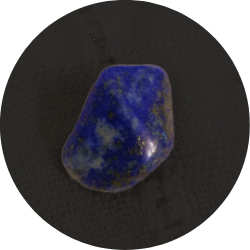 Like bloodstone, lapis lazuli can be placed near the incision site to aid in the recovery process. 3. Amethyst: Amethyst is believed to ease inflammation and boost the immune system as well, thus helping to aid in recovery. Furthermore, amethyst is known to help skin conditions, meaning it can be used to reduce scarring and aid in the healing of open wounds and incisions after surgery. This purple variety of quartz is also calming, allowing the user to relax during the healing process and sleep if need be as it wards off insomnia. Amethyst can be placed near the wound, on your forehead, or next to your bed to aid in recovery. I have been using these three crystals the majority of the week, and they have brought a comfort nothing else has been able to provide. 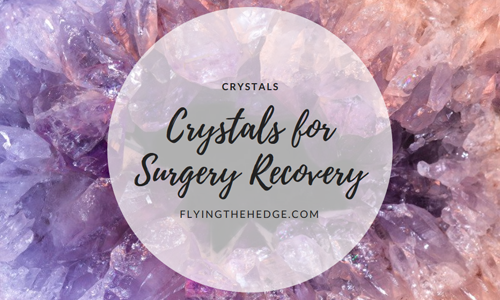 I hope that none of you ever have to have surgery, but if you do, know these crystals will work with your body to heal quickly. Please note that crystals and magical healing methods SHOULD NOT replace any treatment your doctor has prescribed. You should follow your post-op care instructions to the letter. I do NOT suggest using herbs to aid in the recovery process as many of them can and do interfere with prescribed medications. If your symptoms worsen, you begin to run a fever, or the pain becomes worse, call your doctor immediately. Magical methods can be used to enhance your recovery process, but should not replace them. What crystals do you turn to in your time of need?